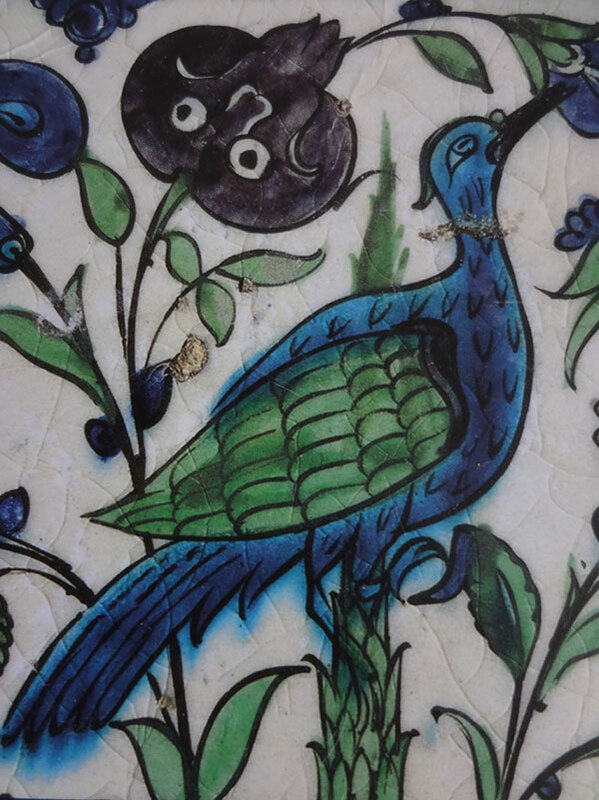 This is a detail of a ceramic tile from Damascus, Syria, dating from the late 16th Century. 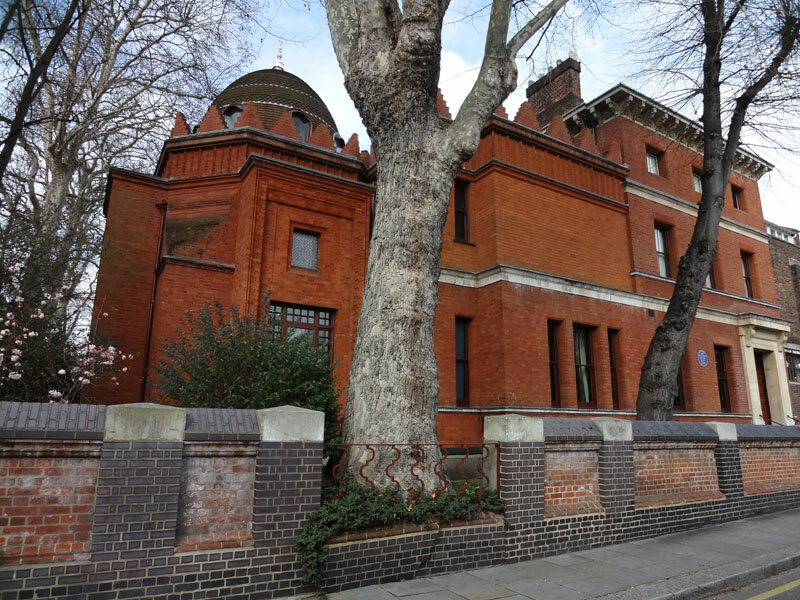 It is on permanent display in the Arab Hall of the Leighton House Museum. I am fascinated to see that the ceramic tile has been chipped away across the bird’s neck, cutting the bird’s throat and rendering the animal ‘dead’. This defaced image gives us some insight into a particular Islamic view – forbidding the depiction of live animals – and a possible solution. I would like to return to this subject in future posts as it raises the issue of the speciesist image.